The PS4 which is slated to be released next week is torn upart. Priced at a nominal $400 which is $100 less than its main rival and houses slightly better hardware, people are favoring it against the Xbox one according to some polls. 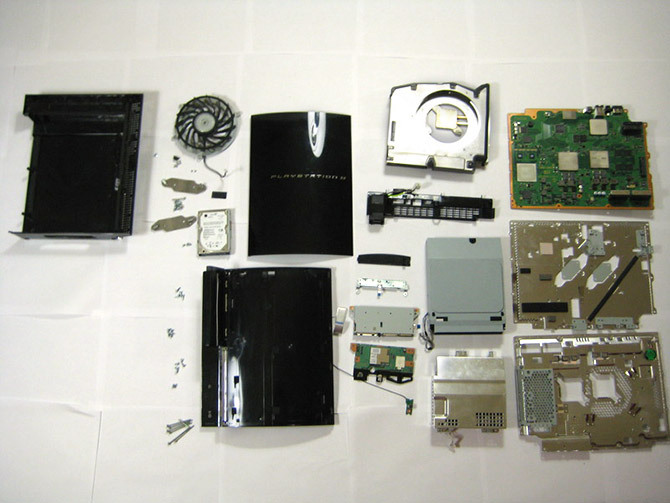 The teardown is done by Sony’s own Engineering Director, Yasuhiro Ootori. 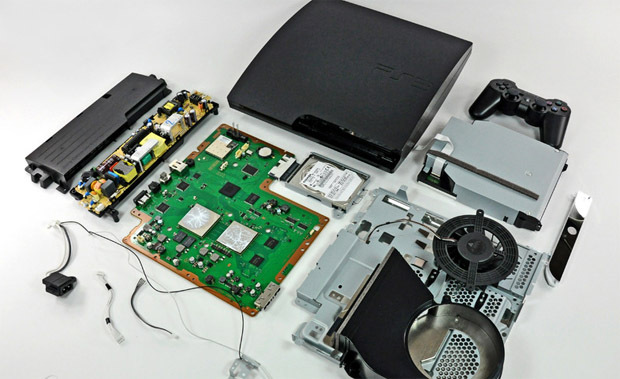 The teardown reveals the simplistic nature of the upcoming console. The shroud is quite uncomplicated and is minimalistic in nature. The hole appears to be for housing the heatsink fan. The PS3’s mainboard looks complex with two main chips seen clearly. The PS4 has a much ‘cleaner’ board. Although this is the slim version of the PS3 being compared, still the new PS4 has the upper hand in the simple nature it is being kept. The SOC is simpler with the Graphic component embedded into the CPU making the APU by AMD complete. The memory surrounding the APU can also be seen clearly. 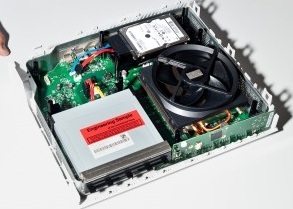 PS4’s huge heatsink can be seen in the pictures above, the heat-pipes are visible. While the PS3 had a larger fan PS4’s heatsink is supported by a relatively smaller fan. The PS4’s Power and eject button are quite small, but since they will most probably be touch enabled, the small size wont be a problem. In the Author’s opinion, the PS4 is much more uncomplicated when it comes to the internal aesthetics therefore with the monetary advantage he believes the PS4 to be the logical choice over the Xbox one.